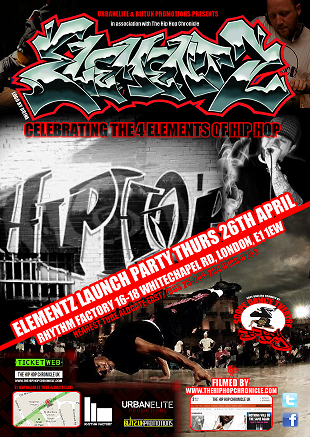 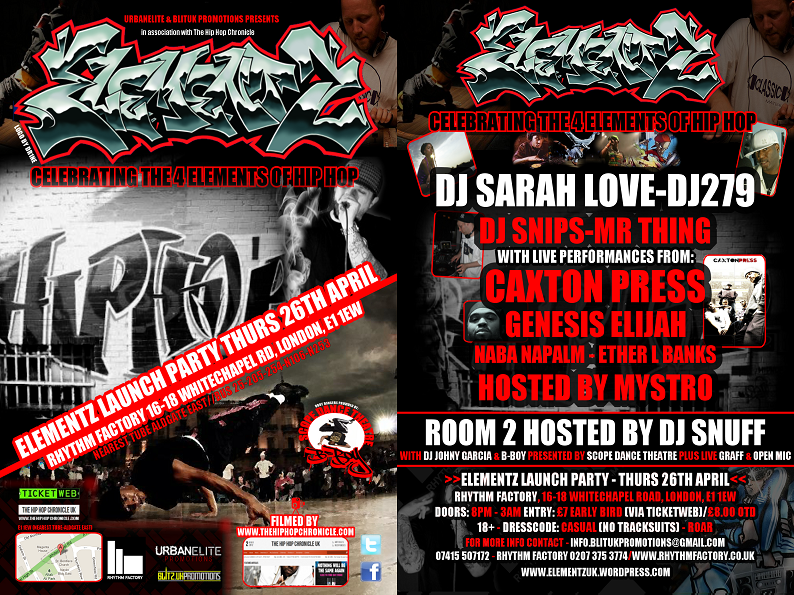 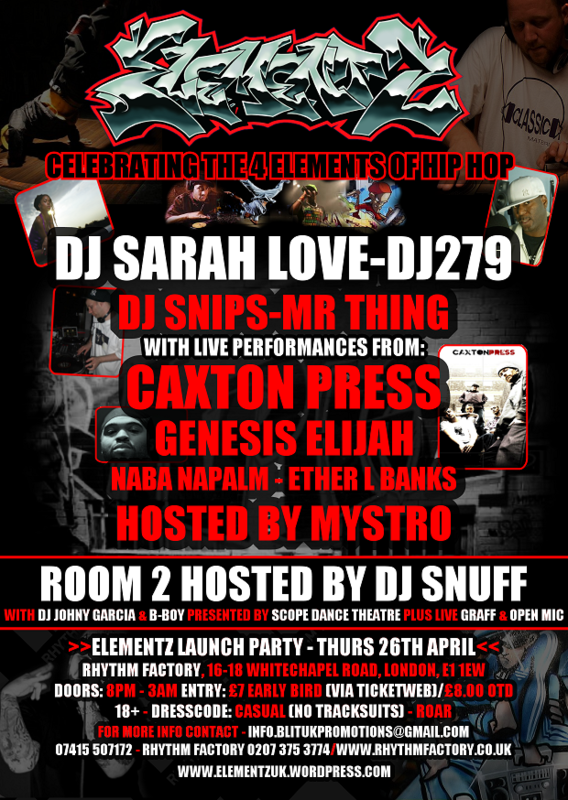 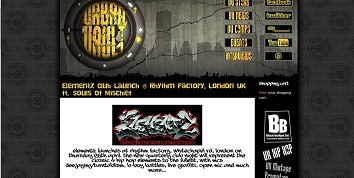 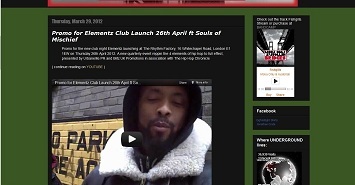 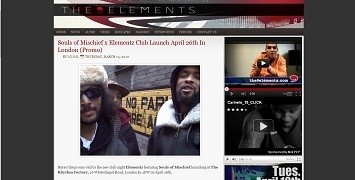 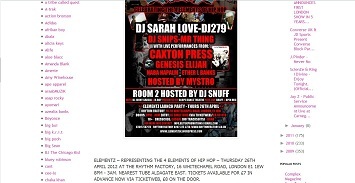 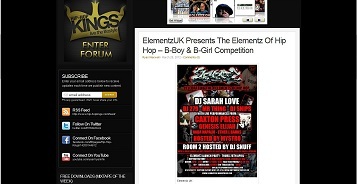 A new quarterly event celebrating the true essence of hip hop with the classic 4 elements – MCs, Turntablism, Bboys & BGirls and Graff represented to full effect. Room 2 is hosted by DJ Snuff, renowned for the End of the Weak and Speaker’s Corner events and producer with Caxton Press, assisted by DJ Johny Garcia. 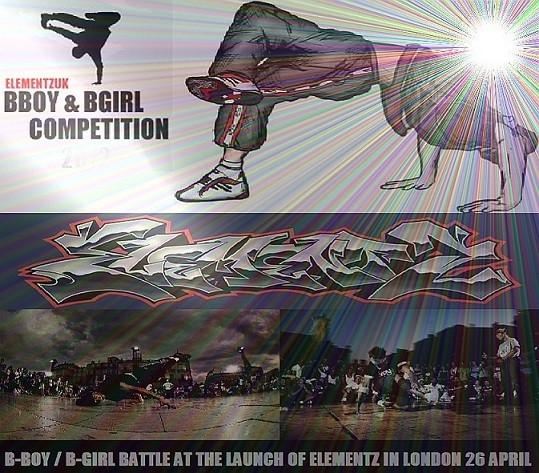 Any bboys, bgirls, street dancers in the area who are aged 18 and over are welcome to come down and compete. 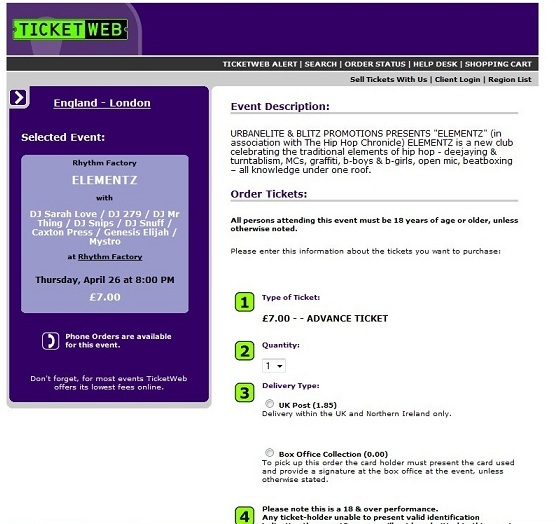 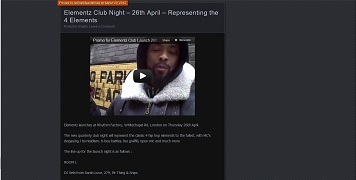 Dress code is casual, though the venue has a “no tracksuits policy”, otherwise, wide open. 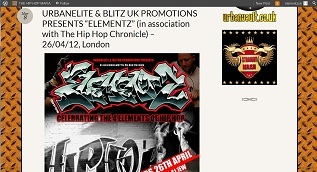 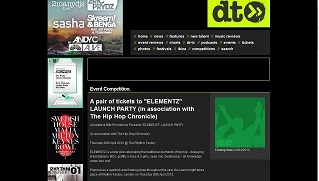 The entire event will also be covered exclusively by the UK’s leading online platform The Hip Hop Chronicle for future broadcast.